Next State is a digital textile print company based in Melbourne Australia. Working with the latest in printing technology Next State specialises in printing cotton and linen natural fibre textiles as well as polyester fabrics. The fabric selection available comes in a variety of different weights, weaves and composition suitable for Apparel, Interiors, home wares and accessories. We are delighted to assist with any of your projects so please call or e-mail us if you are not sure what fabric will be the best fit for the outcome you are trying to achieve. You can select fabrics from our range of Natural and Polyester fabrics to print your artwork onto. If one of our fabrics does not suit your needs, you are able to supply Polyester fabric to us. We do not accept natural fabrics to be supplied to us for printing. We are thrilled to present a collection of artworks by talented textile and surface designers. Prints can be selected from the Next State Artwork Library, printed onto your choice of fabric to be used for personal or commercial applications. If you have years of experience, are new digital printing or maybe just have a textile project in mind, everyone is welcome at Next State. We pride ourselves on making our technology and digital textile printing accessible to everyone. We are constantly inspired by the breadth of applications printing has and the versatile backgrounds our customers come from. 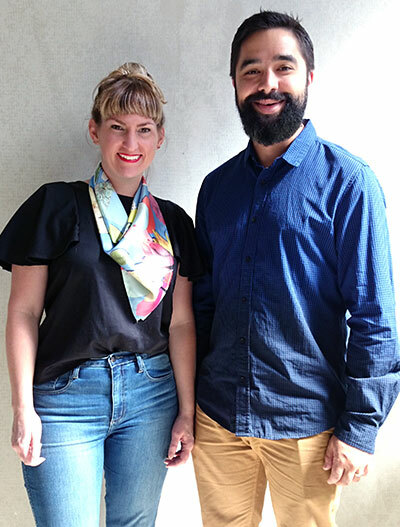 Founded in 2014 by Chole Kerr and Geoff Spink Next State has grown from a two-person operation to a dedicated team of five, with expertise in digital printing, textiles, logistics, manufacturing, customer service and design. The team is friendly, knowledgeable and approachable. We are proud to be apart of the Australian manufacturing industry and are privileged to work alongside passionate businesses. Our focus is on providing great fabrics, with versatile applications, excellent colour reproduction, support where needed and all in a timely manner.